Okay, I love these mini accordion books. 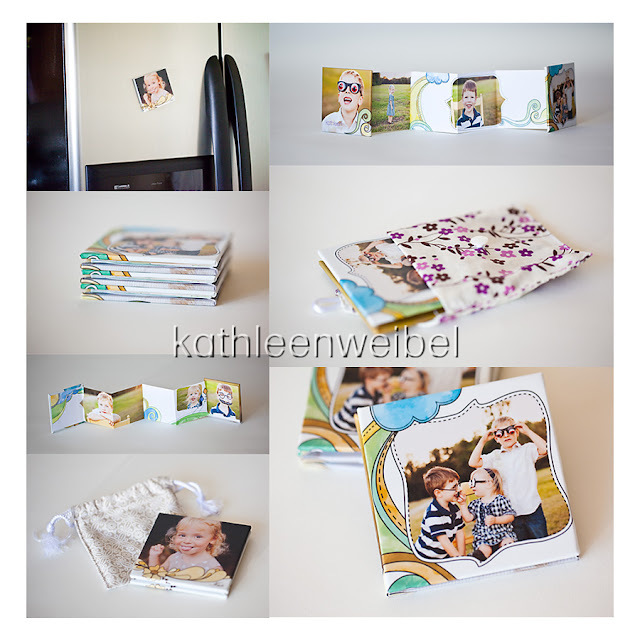 They are perfect to carry around in your purse and have your pictures of your beautiful babies wherever you go. They are 3"x3" and come in a cute pouch. They showcase about 7 pictures from your session. They are printed on fine art paper with either a linen or pearl finish. They have a magnetic closure to keep them closed, and the magnet even allows you to put them on your refrigerator door. One of these accordions comes with each of my collections. This could be a great holiday gift too, so hurry and book your session. How fun...love these!! So perfect to keep in your purse and show off to your friends and family. WOW! Are those gorgeous or what? What a great product to add to your session! I would buy one for each family pod for sure! So gorgeous, love it! Perfect idea. These are really great - some of the nicest accordion books I've seen. If you don't mind, would you DM me what company they're from? Totally understand if you don't want to share. Very cute! I've ordered these, but never knew they could stick to the fridge! How clever!